The next time you are driving north through eastern Pennsylvania, add a trip to the Franklin Institute in Philadelphia and take a look at the Automaton by machinist and clockmaker Henri Maillardet, c. 1800. Featured on CBS Good Morning in 2012, Maillardet’s brass automaton has the largest machine memory ever constructed; can produce four images and three poems, two in French and one in English; and provided the part of the inspiration for The Invention of Hugo Cabret, by Brian Selznick. Automatons (automatas), machines designed to duplicate pre-determined (programmed) real life movement using a complex combination of cogs, cams, pistons, gears, belts, pulleys, and other assorted mechanical elements, are not new. References to moving mechanical devices can be found both in Ancient Greece and Ancient China, but the real heyday of automata coincided with the development of increasingly complex clockwork mechanisms during the Renaissance and the early Modern era (1450 to 1900). Start with a paper model. There are a number of interesting projects available online. Hot Air Balloon Festival (Part of the Canon site…probably one of the best paper modeling sites online). Most automata models are from European, British, and Japanese sources. 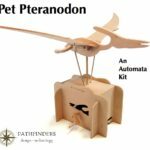 As with a lot of companies in the modeling industry, ourselves included, a significant portion of the available paper models and instructions can now be purchased online and downloaded. Be sure to read the instructions before you print the model. Different models use different weights of paper, although typically they use a medium weight cover or card stock. Regular 20 or 24 lb. paper is generally too light for paper modeling. “My Brush with Hugo and the Automaton” Andrew Baron, 2008. 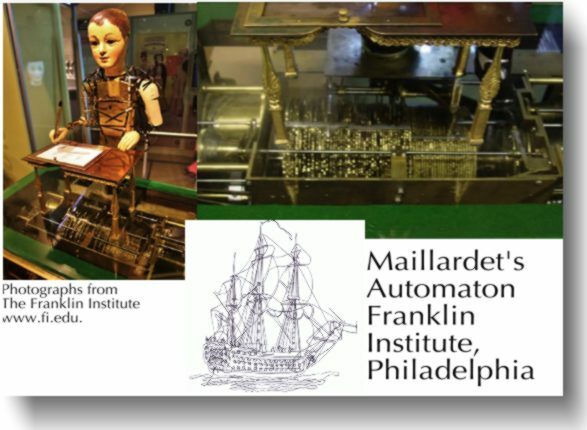 Baron restored Maillardet’s Automaton for the Franklin Institute. 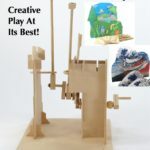 Paper Engineering from RobIves.com. 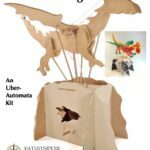 If you are interested in learning about Paper Engineering and Automata, robives.com is probably the best place to start. A one year subscription ($30.00 US Funds per Year) provides you access to all of their downloadable projects, as well as a wealth of information of paper mechanics. It is well worth the cost of a subscription. 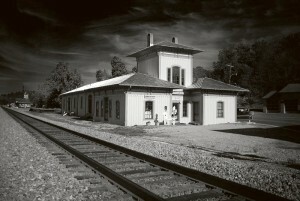 Devices of Wonder. Getty Museum. A great collection of mechanical and optical devices, including how they work. Take a look and interact with all of the devices and then explore the other materials included in the site. Wonders of the Clockwork World. A short film (45 minutes) on the development of the Automata and world in which they were created. Animations of every mechanical device you can think of from Noah Posner and Thang010146 (Youtube channel). A great collection of short videos that illustrate how mechanics work. From basic cogs and cams to turning a right hand thread–this is an excellent reference resource. 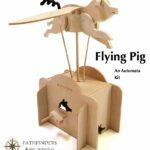 Mechanical-toys.com. 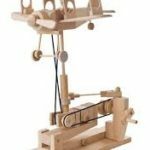 Another excellent site that covers the types of mechanisms used in creating automatons, including an excellent overview of tools and construction techniques. 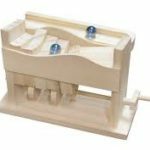 To learn more about Wintergaten and their Marble Machine, check out their Youtube channel.